Want to cuddle with Robin? So many people today are feeling touch deprived, isolated, and lonely. Sometimes you just want someone to be with who can focus on your needs. When you’re needing comforting touch due to stress, work, relationships, or health issues – cuddling up with me will help you feel that you’re not alone. When you need the comfort that you just haven’t been able to find, I can provide that to you through cuddling and providing a non-judgmental, caring presence. 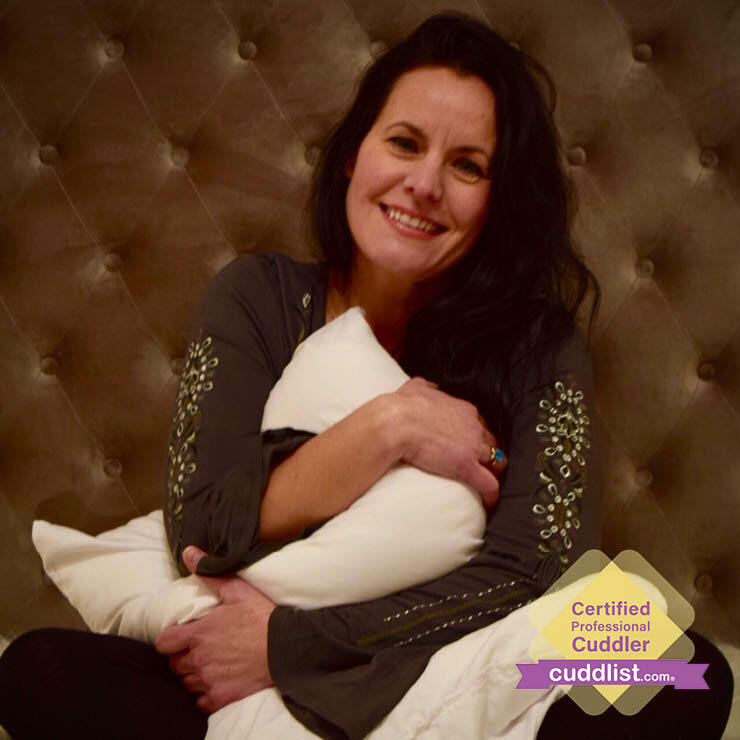 I’m a Certified Cuddlist with lots of healing, feminine energy to share during our cuddle sessions. My Masters degree is in Counseling Psychology, so I’m a great listener as well. I provide a professional, comfortable, confidential cuddling experience for you. Whether it’s cuddling, back scratches, watching a movie and snuggling up on the couch together, or having dinner out together, your sessions can be tailored to meet your touch needs. I provide strictly platonic cuddling services focused on nurturing, comforting touch. I am available for extended sessions upon request and overnight sessions with established clients. Outcalls to your location are reserved for established clients. Cuddling sessions are an alternative form of therapy where your needs for platonic, healthy touch, cuddling and emotional support are focused on and met by a trained, Professional Cuddler. How does cuddling look for you? It could be sitting, standing, lying down beside each other, hugging, leaning into, hands on heart, back to back, tracing skin, stroking the face and hair, holding hands, talking, laughing, breathing, or just BE-ing. During our session, we can talk or be silent, explore cuddling styles or remain in one cuddle the whole time–so ask for what you’d like! We can also cuddle while reading, movie watching, restorative yoga, eye-gazing, meditation, or spending time in nature. Where are cuddle sessions held? I have comfortable cuddle space where I can host in Lawrence, KS or Jacksonville, FL, as well as being able to do outcalls (for established clients). If I travel to your location an added $35/hr travel expense will be included (this price includes gas). Parking and public transportation are available. We begin by creating an agreement to honor each other’s boundaries while we explore our own personal preferences. Mutual consent and respect create a safe space, trust, and comfort together. We both agree that if anything feels uncomfortable at any time or for any reason, that we will speak up or ask for a change in some way. Should you get aroused, you will never be judged or shamed for how your body is reacting. We don’t have control over whether arousal happens, but we can choose to not focus on it nor try to increase that state. What do we wear during a cuddle session? Comfy clothes like lounge pants, t-shirt, gym shorts that reach mid-thigh, etc. When you submit a request for a session through my page Cuddlist.com/robin, please provide a phone number so that we can chat in order to say hello and discuss any questions you may have before our first session. I will respond to your session request within 24 hours. I typically need 24-48 hours to schedule a session, depending on my availability. What forms of payment do you accept? What if I need to reschedule our session? I accept cash at your session. If you need to cancel or reschedule, please give me at least 24 hours notice and we can arrange to see each other another time. “I had a wonderful cuddling experience with Robin and highly recommend this service. Robin is professional, easy to talk with and has an amazing calm about her. She explained the cuddling process, answered all my questions and made me feel very at ease. The experience was incredibly soothing. Robin is very nurturing in her technique and very thorough in asking my likes, dislikes and comfort level. It was an amazing hour that left me feeling relaxed, renewed and connected to life.” ~ J.I. 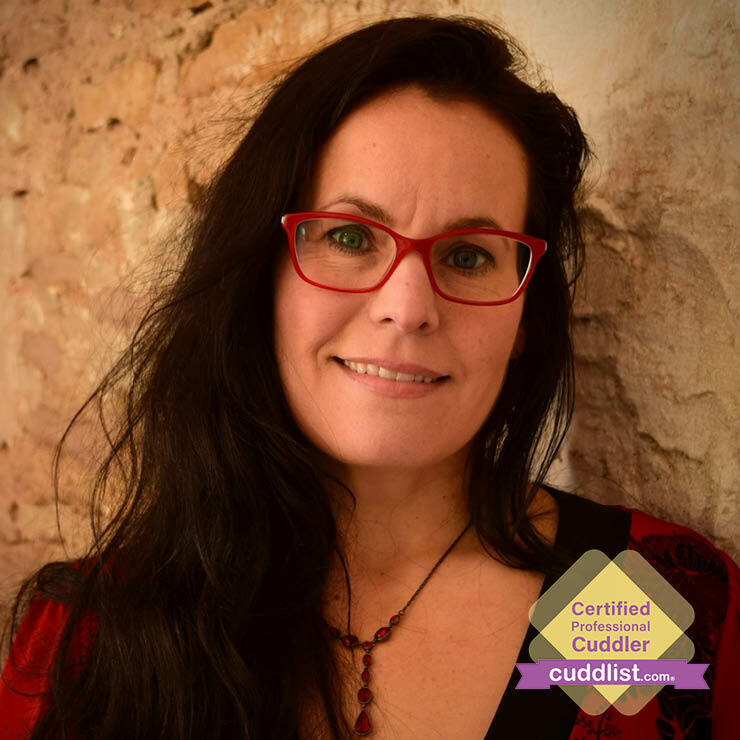 “I highly recommend Robin for her warm, yet professional demeanor in all aspects of our interaction including setting clear guidelines and boundaries, a perfectly relaxed setting, and of course wonderful cuddles! I left relaxed and grounded. I appreciated that it was very professional, and yet very warm and connected as well. Thanks Robin!” ~ B.L. “I had a cuddle session with Robin recently. It was lovely. I felt a natural high afterwards; raised my oxytocin level for sure. Robin is super warm and friendly, and has great energy that put me at ease right away. If you need a good cuddle or are craving touch, I highly recommend Robin.” ~ M.M. “I felt so relaxed during our session. It was so nice to not have to worry about things going anywhere, we could just enjoy platonic cuddling. I felt a lift in my mood for several days after as well.” ~ R.U. ” You have a natural ability at this.” ~ S.B. “Robin is the ultimate cuddler. I had a very healing experience with this woman.” ~ G.S. I’m available 12pm-9pm CST, but have flexible hours if needed. New clients are seen at my location, and outcall sessions are reserved for established clients. Please let me know if you have any questions.